. 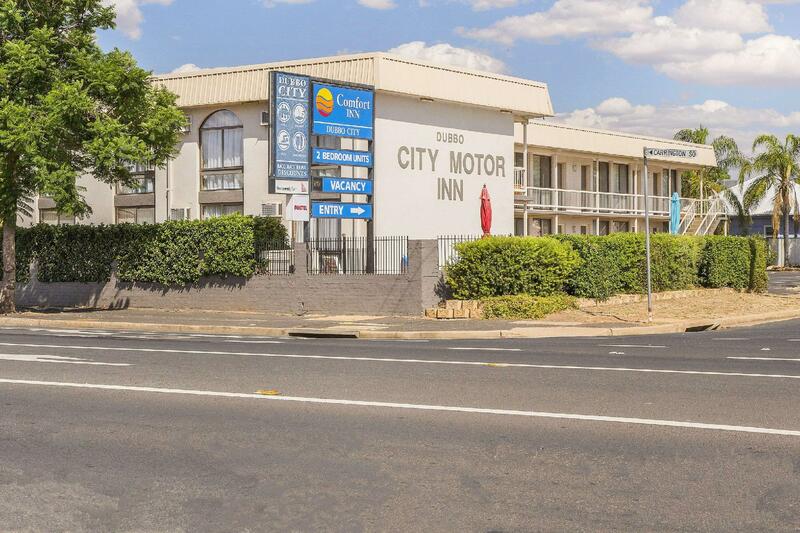 يقدم Comfort Inn Dubbo City خدمات لا غبار عليها وكل أشكال اللياقة وحسن الضيافة اللازمة لإسعاد ضيوفه. يمكن للنزلاء الاستمتاع بالميزات التالية: واي فاي مجاني في جميع الغرف, تسجيل وصول/خروج سريع, تخزين الأمتعة, واي فاي في المناطق العامة, صف السيارات أثناء إقامتهم في هذا المكان الرائع. ادخل إلى واحدة من الغرف 16 وتخلص من عناء نهار طويل بمساعدة مجموعة كبيرة من الخدمات كمثل تلفزيون بشاشة مسطحة, سجاد, رف للملابس, بياضات, صوفا الموجودة في بعض الغرف. يقدم الفندق العديد من الفرص للاستجمام كمثل حمام سباحة خارجي, حديقة. 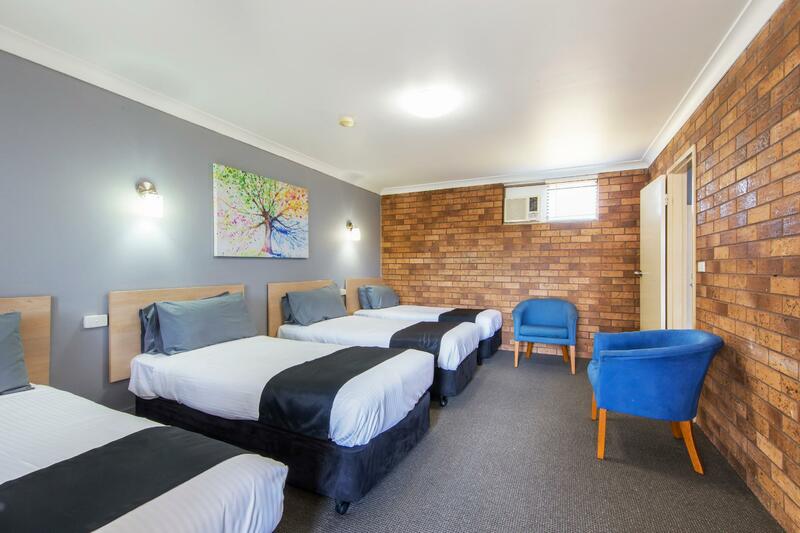 إن كنت تتطلع إلى إقامة مريحة وهادئة في المدينة، فستجد في Comfort Inn Dubbo City بيتك الثاني. Close to town 5 min walk clean room happy to stay again. 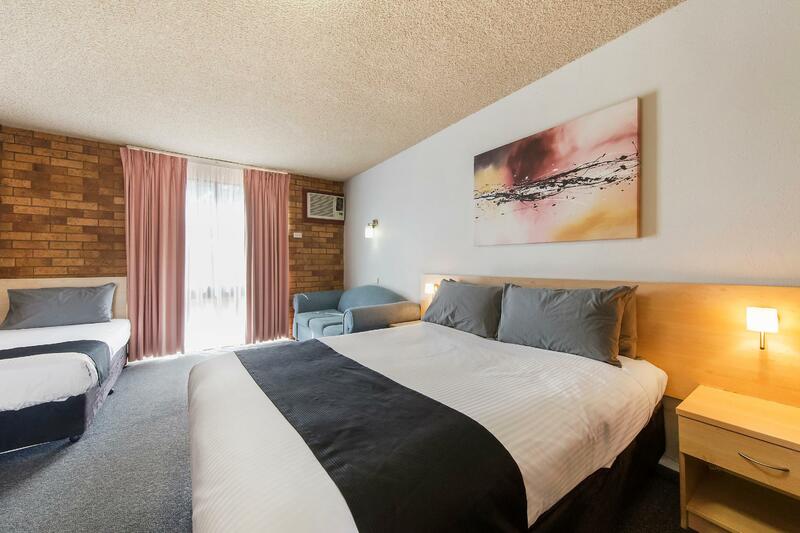 1.The photo of the room (queen bed) is not what was offered. Far from it. 2 The place is so so dated and should be gutted. 3. The ground floor window could not be locked, the fly screen was broken . 4. Unfortunately the room was paid in full before we inspected it. We had no choice but to stay. 6. Reception was awful. Could not be bothered to be civil. 5. Did not feel secure for ourselves or the car. 6. The linen and the bed was good. 7. 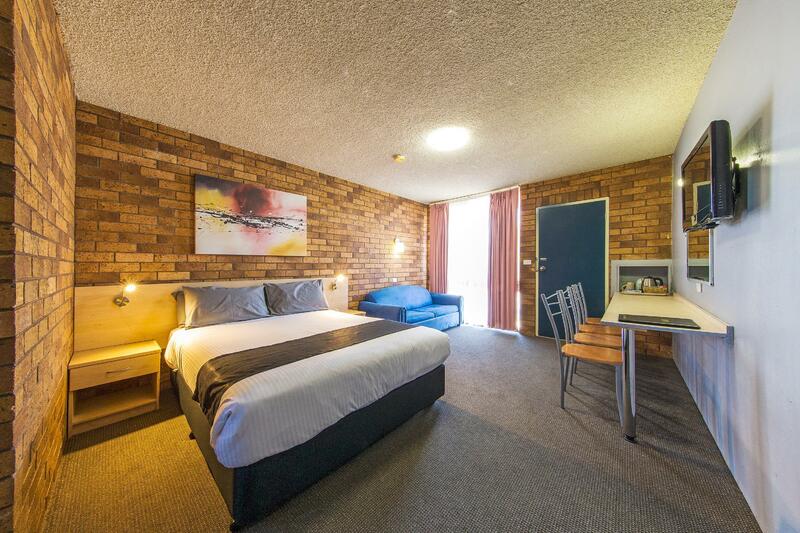 In our mind this motel is acceptable only for an overnight stay. A bottle of wine is a must. Next time we will inspect the property first hand before the convenience of the prebooking. 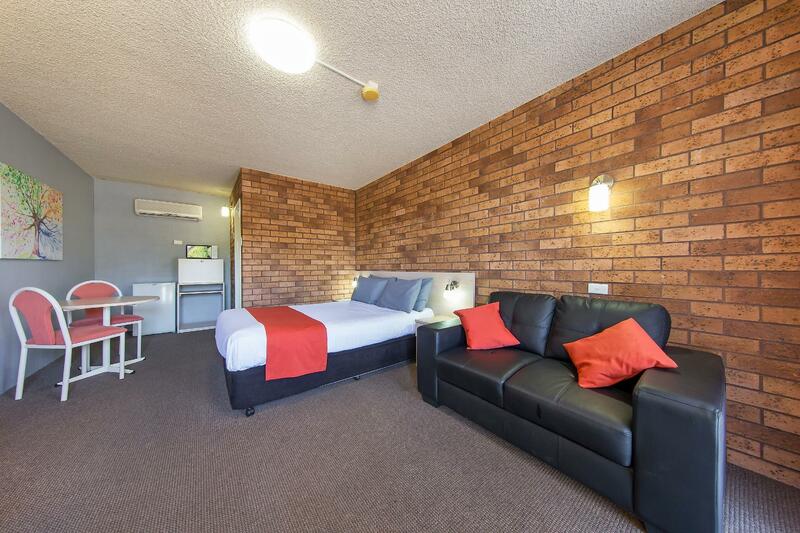 The location of the Comfort inn was ideal and the pool looked good but that is about all the positives. The rooms are extremely old and SUPER dirty. 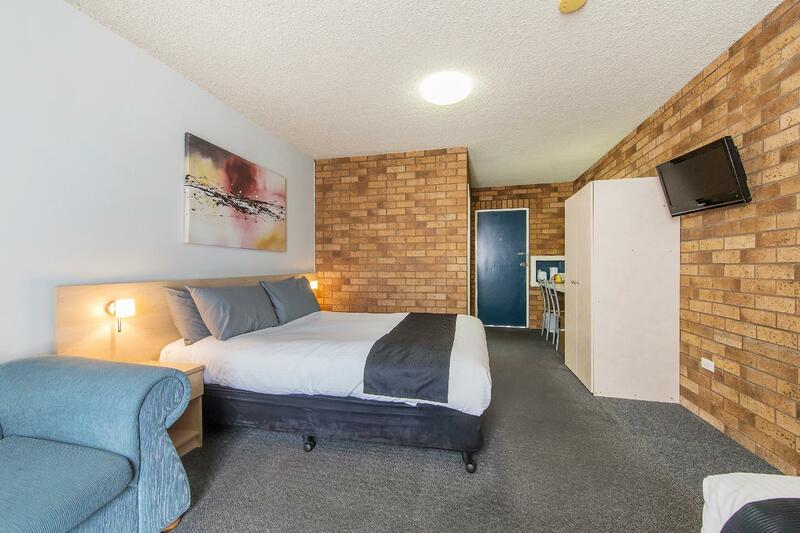 I mean is OK to stay on a budget accommodation but budget accommodation doesn’t necessarily mean that it has to be dirty, there was mould in the shower door, in the shower walls. The carpets in the room have never been cleaned at least not since 1950s. The curtains had spiders (I stopped counting at 7). Unfortunately I can’t recommend this place. Despite selling the room on Agoda as Standard With Breakfast Queen, we were rudely advised that breakfast was not in fact included. The giant cockroaches in the room also put me off just a little. Our stay was pleasant, location was convenient but traffic a little noisy at times as our room was the front room closest to the road. The room was clean and comfortable and all that was needed for a one night stay. The Comfort Inn is an older Motel on the highway though noise was not a problem. If driving south from the Motel, getting across the North heading lanes and into the Southern lanes can be a little problematic, especially if the traffic is heavy. Lovely towels in the bathroom. Breakfast quite adequate but the whole stay was good value for money. Ideal if you are just overnighting. We were disappointed right from the start. It was not clean, the TV did not work and after a lot of fuss by the manager it was finally replaced. There was not a Microwave in the room as the manager said there was and when we wanted something heated for our 87 year old aunt, he just shrugged it off. The computer was faulty at the front desk so our payment process was not satisfactory.